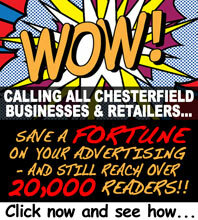 intu Derby is launching an exciting Christmas campaign to find a real hero within the Derbyshire community. The Christmas Star campaign invites locals to nominate real people with real heart warming stories to become their intu Derby Christmas Star, with the chosen one appointed to switch on the festive lights on Saturday 19th November and receive a £100 donation to a charity of their choosing. For this year's light switch on, intu want to celebrate local people in and around the Derbyshire community who have made a real difference - be that a teacher, nurse, care worker, youth football coach or anyone who has gone above and beyond for others, demonstrated true bravery in the face of adversity or simply made their community a better place to live. Carly Taylor, Marketing Manager for intu Derby, comments: "We know that other light switch on events focus on celebrities. We want intu Derby's light switch on to celebrate local stars within our community. There are lots of people that do great things everyday and we want to recognise those efforts by giving someone the opportunity to turn on our lights. We are excited to start receiving nominations and reading all the positive stories." Nominations can be made by downloading the Christmas Star entry form from the intu Derby website and emailing to derbychristmasstar@intu.co.uk - or a form can be completed in the Centre at the Customer Service desk. Submissions can be made until Friday 21st October when a panel of judges will then select a shortlist and 5 final nominees will be put forward for a public vote. Locals will then be able to cast their vote for 1 of the final 5 online at the intu Derby website or in the Centre, with the campaign vote closing on Friday 11th November. The nominee must be available on the afternoon and evening of Saturday 19th November and the winner's chosen charity must be a registered charity in England. 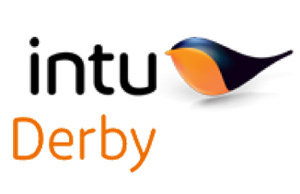 For full terms and conditions please visit the intu Derby website at www.intu.co.uk/derby.